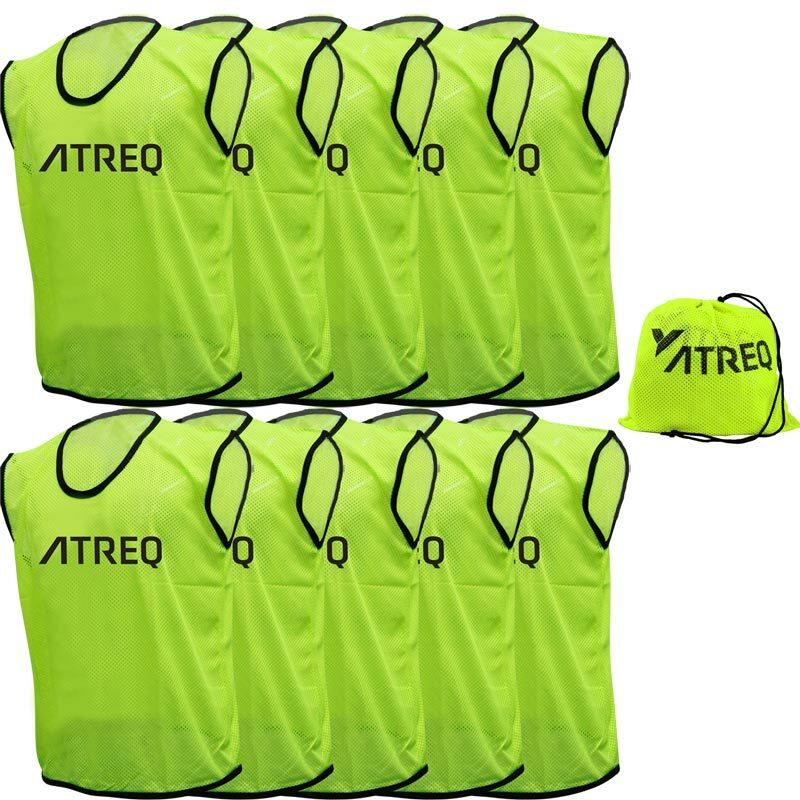 ATREQ Hi Visibility Sports Training Bibs are ultra lightweight and breathable. Fantastic value bib which makes up an essential part of your training equipment. Bright colours easily Visible and perfect in poor light or floodlight training. Offers great value with reinforced seams at no extra cost. Available in 4 bright colours - fluorescent yellow, fluorescent Pink, fluorescent orange and fluorescent green. Supplied as pack of 10 in mesh breathable drawstring bag. These bibs are great! Relatively inexpensive, and are of good quality (they've all survived the first month of training intact). They've been washed several times, and the colours are just as bright as they were when they first came out of the box. Minor downsides are that my boys REALLY don't like wearing pink bibs, and it can be hard to tell the pink and orange bibs apart (which says more about my eyesight than the bibs themselves!). Overall a great product and one that I'd happily recommend. I bought the small bibs, which are plenty big enough for my Under 8 team.